Our firm provides highly-qualified, experienced legal representation in workers’ compensation and personal injury claims. If you have been injured on the job, you should contact us immediately. Trying to handle the claim yourself usually results in problems in the future: the insurance company will often calculate your weekly benefits check wrong, will wrongfully delay your first check, will schedule doctor appointments that are not legally required, will steer you to a company-oriented doctor and, in general, will handle the case in a way most advantageous to them rather than to you. 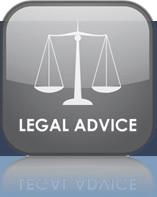 In many cases the insurance company will offer you a settlement when your case is not ready to settle. Even if your case is ripe for settlement, an experienced workers’ comp attorney has the ability to properly evaluate your settlement potential and advise you of your rights and options. The insurance adjuster will sell you short almost every time if you try to negotiate the settlement yourself. If you don’t want to travel to our office,we will send a courier at our expense to sign you up. If you are currently receiving the weekly wage-loss check, we do not take a fee on that. We only take a fee on those benefits that we obtain for you as a result of our legal services.Our fee is 20% (or the maximum allowed by law) of the amount that we generate for you as a result of our legal services. Contact our New Orleans work Injury attorneys at your convenience via Phone toll free 1-866-994-1912 or 1-504-891-3303, or email us at info@johnfoxassociates.com.